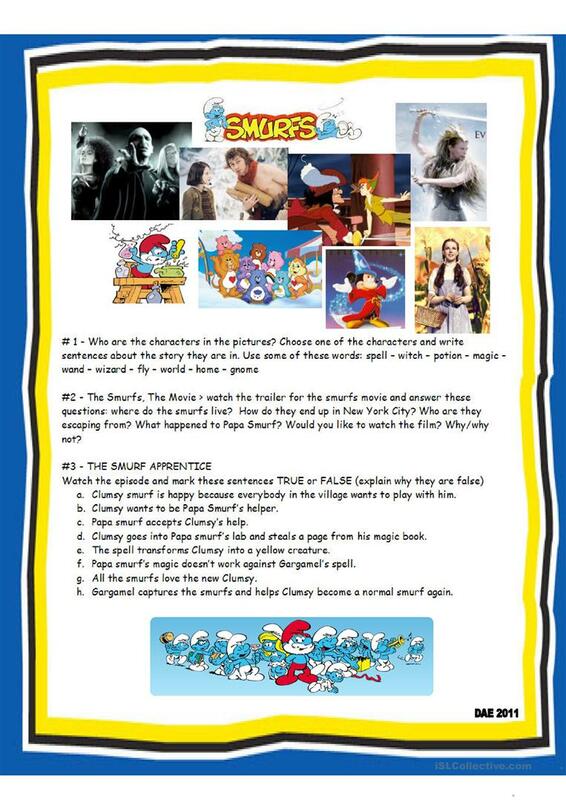 A worksheet to work the topic of Magic and Fantasy films with the focus on one episode of The Smurfs. Suitable for kids (10/12 years old) at an intermediate level. The present downloadable teaching material was created for elementary school students at Pre-intermediate (A2) level. It was designed for developing your groups' Speaking and Writing skills.